When talking about sherry - which, sadly, far too few people do - the main factor taken into consideration is how the wine has been aged. This is important because the long ageing that sherries undergo dictates the style, colour, smell, and taste of the wine. But the complexity and variety of the best sherry come from many different factors. To understand why sherry is one of the world's greatest and most versatile drinks means reconsidering the concept of terroir. In Burgundy, it's all about the vineyard - the specific site the grapes come from is expressed in the wine. In sherry, as in champagne (the two regions have a lot in common), terroir is also expressed through where and how the wine has been aged. I learnt more about sherry, its fascinating history, and its astonishing variety at a Certified Sherry Wine Specialist Course at San Francisco Wine School. Organised by Lustau, one of the region's best producers, this was a chance to be awarded a certificate to justify all the sherry I've drunk over the years. It also clarified just how important the sense of place is in sherry. The wines of sherry are made in Andalucía, Spain's hottest region not far from the northern tip of Africa. However, the climate of the region is more diverse than the blistering heat that can suffocate the visitor at the height of summer. The sherry region is located near the Atlantic and Mediterranean which moderate temperatures not just in the vineyards but also in the bodegas where the wines are aged. Cooling winds come from the west - called poniente - although there is also a warm, drying wind from the east - levante - that can occasionally hit the region. There are three towns in the region in which the wines must be aged. Jerez, the largest, is inland and is drier and warmer; Sanlúcar de Barrameda and El Puerto de Santa María are nearer the coast and are cooler and more humid. This variety in the temperatures is most important in the way the wines are aged. Sherry is a much wetter region than one would expect, because of the Atlantic. Around 620mm of rain fall annually, which is more than Rioja in northern Spain or even Alsace in France. Most of this rain comes in the winter - which makes water retention in the soils vital. There are three types of soil. The most important, by far, is the white chalk albariza. This has a high limestone content, which retains enough water from the winter rain to irrigate the vines over the summer (artificial irrigation is not allowed). It's also low in organic matter, so vines are forced to work to grow and yields are low. Most plantings in the region are now on albariza soils, as there is a greater focus on quality over quantity. These soils are found in Jerez Superior, the historic heart surrounding the three towns. But at times when sherry producers have sought quantity over quality (such as the mid-nineteenth century and the 1970s), other soils have been widely planted on. Barros is a clay soil; it still has some limestone content, but yields are much higher and the wines that come from these soils are not of the same quality as those from albariza. The third soil is arenas, sandy soils near the coast. Quality here is low, but they were much planted on after phylloxera because the dreaded louse does not like sand. The small amount of Moscatel planted in the region is grown on these soils. If one follows the Burgundian definition of terroir being all about the land and its soils, then sherry is as terroir-driven as any region. Before phylloxera hit in the late nineteenth century, there were over fifty varieties planted in the sherry region. Again like Champagne, phylloxera forced growers and producers to focus on the grapes best suited to the region and styles of wine being made. Now there are only three varieties planted: Palomino, Moscatel, and Pedro Ximénez (pronounced Cimineth). The notion that the grape variety doesn't matter much to the taste of sherry comes from the fact that Palomino, which accounts for 98% of plantings, is a relatively neutral grape. But this neutrality is important as it allows the terroir of the ageing process to be expressed - again rather like Chardonnay in Champagne. Likewise, it produces low-alcohol wines of around 11-12.5% ABV, which allows fortification to different levels. Palomino does have one definite drawback: it's low in acidity (particularly malic acids) and acidification is necessary. That low acidity, however, results in extraordinarily unique wines. Only a little bit of Moscatel is planted (in this case, Moscatel de Alexandria, which is grown across Mediterranean Europe). 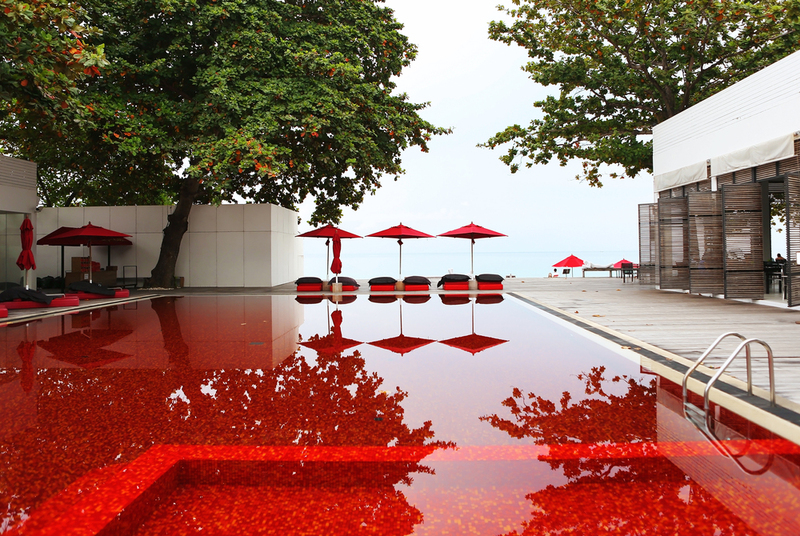 These wines are always sweet, with the characteristic floral aromas of the Muscat grape family. Even less Pedro Ximénez is planted, although it's much more important than Moscatel. The reason that so little of this variety is grown is because it's prone to rot and disease and sherry's relatively humid climate can attack the grapes. Instead, most of the grapes are planted inland in the separate region of Montilla-Moriles where it's much warmer and drier, allowing Pedro Ximénez to grow without the risk of rot or disease. Montilla-Moriles has its own rich, individual tradition of wines similar in style to sherry, which I'll be exploring in my next post. Clearly, terroir is important here - Pedro Ximénez grows better in one place than another. But terroir also comes into play after the grapes are picked. The wines made from Pedro Ximénez grapes are lusciously sweet because they are dried for several weeks in the Andalucían sunshine after the harvest. This turns the grapes into raisins, concentrating the sugars to the extent that the juice cannot even get close to being fully fermented. This sun-drying of the grapes could not occur in the wetter winters around Jerez; instead, it has to happen in Montilla-Moriles, the area in which the grapes were originally grown. Fortified wine is most often sweet. This is because the grape must is fortified with a high-alcohol spirit before fermentation is complete. The spirit kills the yeast in the must and interrupts fermentation, leaving plenty of residual sugar in the wine. The role fortification plays in sherry is quite different. It occurs after fermentation has finished, including Pedro Ximénez wines where the fermentation halts naturally because there's too much sugar for the yeast to convert into alcohol. This means that, with the exception of Pedro Ximénez, sherry is a naturally dry wine. Fortification therefore has a very different influence on the wines than in, say, port. The most elegant, delicate wines are fortified in the January after harvest to a level of 15% ABV. This level of fortification is vital, because it allows flor to develop: this is a reaction between nutrients and yeast in the wine and oxygen in the air which forms a yeast deposit on top of the wine. It only develops in humid, cool conditions when the wine is between 14 and 16% ABV. The flor forms quickly because the 600L oak casks aren't completely filled, and then it protects the wine from oxygen, maintaining the fresh, floral aromas and pale colour. At first glance, a fino sherry looks like any white wine even though it's been aged for several years. In contrast, fortifying the wine to 16%+ ABV prevents any flor from forming. Instead, the ageing will be oxidative, creating mature aromas of dried fruits and leather, caramel, and toffee found in olorosos, which also have a brown colour because of their exposure to oxygen. If terroir is usually about where the grapes are grown, in sherry it's also where the wines are aged. The bodegas in the region are the cellars which connect the land the grapes come from with the wine that ends up in the bottle. Lustau, for instance, have bodegas layered with soil which retains moisture to keep the cellar humid; windows are west-facing to catch the humid poniente wind; and ceilings are high and the walls of the cellar thick to retain the cool air. Where exactly the bodega is located is also important. This is most apparent in the difference between a fino and a manzanilla. These are wines made in the same way, but where they are aged changes the style. 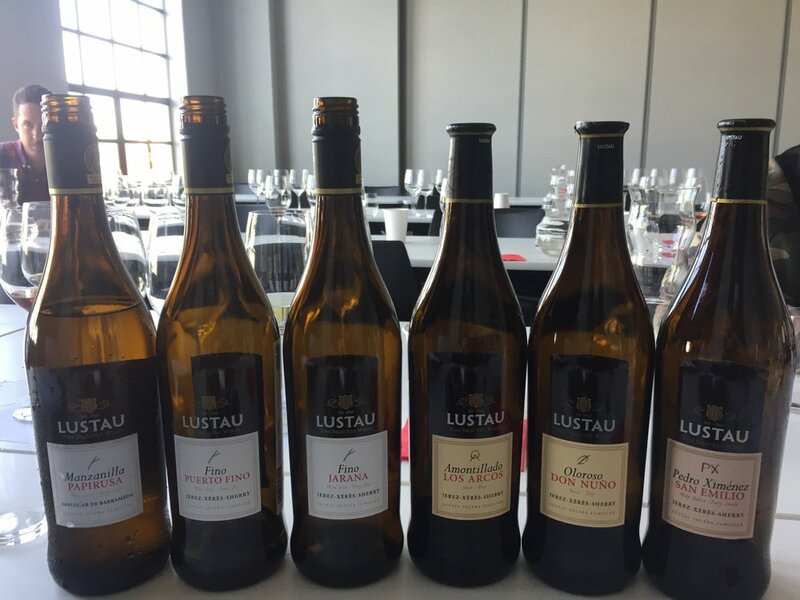 We tasted three Lustau wines, all of which were made from the same base wine. Fortification was identical for each, all to 15% ABV, and they were aged for five years - but in different towns. Papirusa is a manzanilla, so it was aged in Sanlúcar de Barrameda where all manzanilla must be made. The result is a light delicate wine, fruity and floral, with noticeable seaweed aromas ($17; ✪✪✪✪). Puerto Fino is a fino aged in the other seaside town, El Puerto de Santa Maria. This is a fuller, nuttier wine, the doughy flor aromas more obvious, with very salty aromas ($15; ✪✪✪✪✪). Finally, Jarana is another fino aged in the main town, Jerez. Although still an elegant wine, this is much richer than the two seaside wines, with roasted almonds, citrus fruits, bread, and sourdough ($15; ✪✪✪✪✪). These are all excellent wines with their own identity which comes from where the wines were aged as much as where the grapes were grown. Jarana is a fino, some of which takes on a different life to become an amontillado. After four years, part of the wine has the flor removed, either by allowing it to die naturally or by refortification to kill the flor. The wine is then aged for another four years, when it is deliberately exposed to oxygen. This, of course, changes the wine, giving it an amber colour and aromas of dried fruits, caramel, toffee, and hazelnuts. But it also retains the delicate aromas of the original fino, particularly on the palate which does not have the heaviness of an oloroso aged oxidatively for the whole of its life. One of the many important contributions of flor to the style of a wine is that it feeds off glycerol in the wine. Glycerol is a by-product of fermentation that gives a perception of sweetness to a wine: warmer-climate Chardonnay or a naturally high-alcohol wine like Zinfandel can seem sweet because they're high in glycerol. Finos and manzanillas have the same alcohol as these wines, yet they are some of the driest wines in the world because there is next to no glycerol in them. An amontillado should have that same drying sensation on the palate that comes from its life as a fino; in contrast, an oloroso will have plenty of glycerol making the wine a lot richer. Lustau's amontillado we tried is Los Arcos, which is one of my favourites in this style. It's that combination of the delicate flor texture and the rich oxidative aromas that make the wine so inviting and balanced ($17; ✪✪✪✪✪✪). The importance of place makes sherry one of the most versatile and varied wines in the world. In a sense, it's the ultimate expression of terroir: three thousand years of winemaking history, the climate, the soils, with the added influence of how and where the wines are aged. There's a reason I believe sherry is the greatest wine in the world.